This is our first step for anyone wanting to know more about what it looks like to be involved at Greenhouse Community Church. It's about doing life together with people who come from a variety of life experiences and perspectives. It's about exploring what's so good about the Good News of Jesus Christ for us and for this world. We share a meal and discuss the Bible with one another. God is a loving God who calls us to love Him in return. We call this discipleship. This means that the reality of the Gospel collides with the realities of our lives. We experience grace and freedom through the life, death, and resurrection of Jesus, thus we express our gratitude in worship. We believe that loving God is best experienced in the context of community. We practice authenticity and vulnerability as we "do life" together in our Missional Communities, our large group gatherings, at our places of work and play, and more. God is an incarnation God who is alive and active in this world. When we immerse ourselves in the local and global context by engaging in service, we join in with how God is caring for His creation. 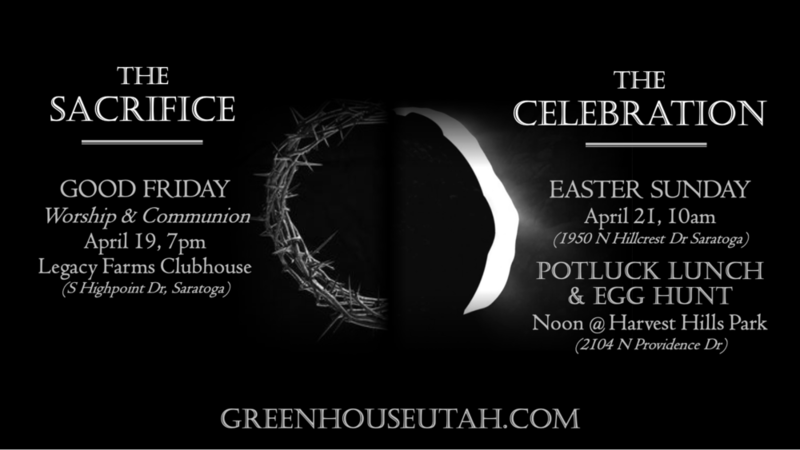 "Growing Disciples Who Love God, Love People and Serve the World"
A Christian Church in Saratoga Springs, UT, since 2013.